In 2016, the news-consuming public was treated to a steady diet of fear, anger and despair. 2017 promises to be filled with anxiety-inducing stories for many Americans. As a result, 2017 will be the year when some of them decide to tune out. To be clear, this is not good for democracy. The health of our republic depends on a well-informed citizenry. But the steady drumbeat of anger, violence, bullying, terror, war, despair, division, and fear will push people to seek out inspiration, meaning, and a reasoned exchange of ideas. News organizations will finally understand that in 2017, you can’t just identify problems or events and disseminate them to news consumers. You have to offer your readers and listeners and viewers a sense of possibility. Our readers, viewers and listeners see themselves as part of a community. News organizations need to acknowledge that they are a gathering place for a community. The members of these communities do not want to despair or feel disempowered. Most of them want a sense of agency in the world. It means that more news organizations need to think beyond the daily headlines and about the bigger human picture — the things that animate us, the ideas that inspire us, the people who change the world for the better. Once we start to think about bigger things beyond just the news, we will serve our audiences in a much richer and more meaningful way. 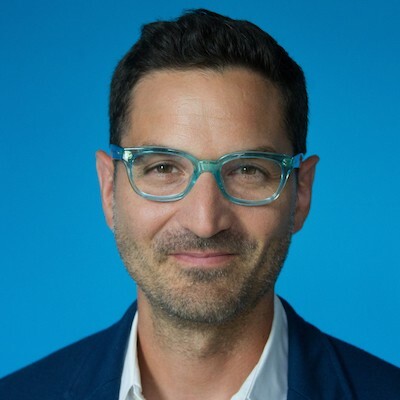 Guy Raz is host and cocreator of NPR’s TED Radio Hour and How I Built This.